You know you'll be healthier when you lose weight. But to lose weight, it helps to be healthier! For many people, weight loss can be much more difficult because of untreated hormone imbalance, allergies and immune problems, food sensitivity, toxicity or other causes. The good news? 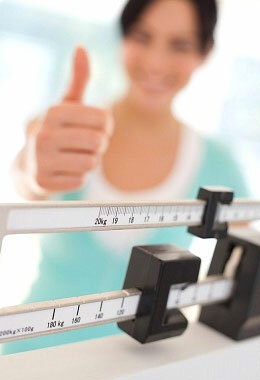 Professionals on our Vancouver office can diagnose how your body may be blocking weight loss. And there are science-based treatments to help you get healthier while you're losing weight. The most telltale sign that a hormonal imbalance is playing a role in your weight gain is a roll of fat at your waistline that you can't lose. Dry hair, feeling bloated and reduced physical and mental low energy – often associated with weight gain – are also correlated with hormonal imbalance. Reduced levels of thyroid hormone and DHEA/Cortisol may significantly reduce metabolism of fat cells, leading to fatigue, mood disorder (anxiety/depression) and water retention. A hormonal assessment can analyze levels of key hormones like estradiol, progesterone, testosterone, cortisol and melatonin – and their role in abnormal weight gain. The right foods can help correct these imbalances, and a medical professional can also determine if other treatments are needed. The use of fertilizers, pesticides, dyes and other chemicals in our foods can cause immune disruption. Simple sugars and refined carbohydrates can result in too much yeast and lead to “leaky gut syndrome,” immune system problems and inflammation. The body may appear bloated due to water retention, directly associated with cellulite production. Inflammation is how our bodies protect us from infection and injury. But the immune system can also over-respond and misdirect inflammation because of stress, allergies and the wrong foods. As well as controlling immune system effects on weight loss, analysis can help protect you from other serious immune-related health issues. What you are eating, even healthy choices, may actually be contributing to your weight gain. For years, Naturopathic Physicians and a small number of other healthcare professionals have been treating the food sensitivities that can lead to imbalances in your body and result in weight gain. How do you find out what you are sensitive to and what foods you can and should eat? The ELISA blood test is a fast, accurate and simple way to determine what foods you are sensitive to, and which foods you should eat for optimal nutrition and, ultimately, weight loss. New research in nutritional genomics is also now helping. DNA samples can actually tell you what foods can reduce your health risks and help you lose weight. Vitalia Health Care utilizes genomic testing to develop the right eating plan for you based on your genetics. Flushing out toxins from your system allows the body to function at its best. A couple of generations ago, our bodies could process what we ate or inhaled. Now, chemicals in our environment can overwhelm your system and even interfere with your body's cells. This overload of toxins is stored in fat cells, resulting in fluid retention, hormonal imbalance, blood sugar swings, cravings for sweets, low energy and the production of cellulite. These modern industrial molecules can compromise your body's main detox centre – your liver – blocking its ability to break down fat. The foods you eat can help, or hinder, your body's ability to process toxins effectively. It's also key to flush these toxins out. Detoxification allows your body to function at its best, getting set to lose weight with improved energy, reduced water weight and increased overall metabolism. It's important to find out if your weight gain is related to serious concerns such as diabetes. A weight loss program can be a part of preventing or treating these diseases. Sometimes, though, other treatment may be needed. And, in some cases, a weight loss by itself could make the problem worse. Proper medical analysis can make sure you're ready for a weight loss program, and not leaving other dangerous conditions untreated. Before beginning any weight loss program, it is important to correct biochemical imbalances and make sure your body is ready to start losing weight. A medical professional can also check for other serious problems that could be affecting your weight or even endangering your health. Expert nutritional guidance – based on your individual needs – will ensure you lose weight without losing energy. Vitalia Health Care has established a program that will improve your metabolism, optimize your health and give you the tools to control your weight the rest of your life. 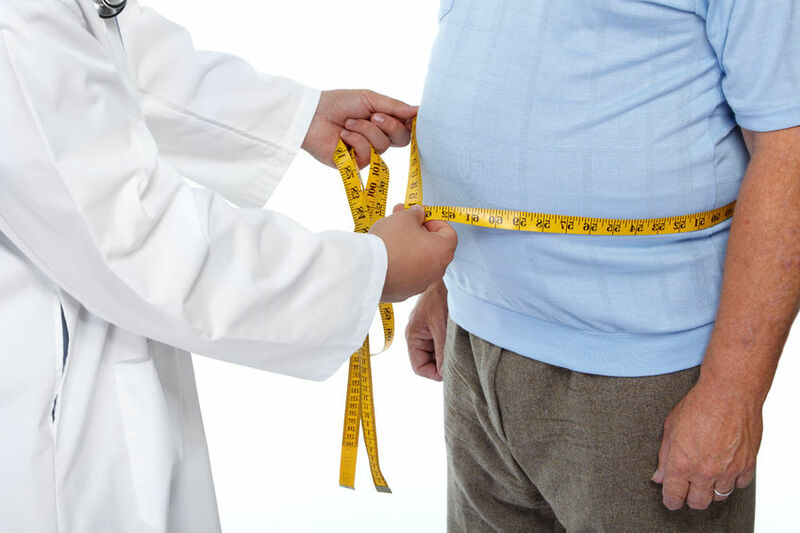 At Vitalia Health Care, our Naturopathic Doctors will customize a weight loss and metabolic enhancing program to fit their unique health needs. The goal is to treat the biochemical imbalances that block weight loss, get a good start on losing weight, and to establish a lifestyle that will keep the weight off. Designed and overseen by a Naturopathic Doctor. Based on case-specific testing to develop your program on an accurate individual profile. Give enough time to see results and gain the knowledge you need to change your lifestyle. Supported by nutrition tailored to your body, and nutritional support to help you stay focused. Assured by customized supplementation so your body gets what you need during the different metabolic stages of weight loss. Monitored through regular doctors visits so you stay healthy and ensure weight loss happens at a safe pace. Natural Ways to Reduce Belly Bloat! Is Stress Affecting your Weight Loss or Muscle Building Program? Stress Affecting Your Health & Weight Loss?